and none of them sea. and the lowing of cows. lightly tapping on the glass. the artifice of her mask, removed. still smelled of winter and frost. climbing up the Baptist steps. replacing them with yellow roses. His favorite color, she said. where the stink of pear trees stop. of iridescent grey in waxy leaves. Dogwoods glow as April stands cruelly on. he envisions sundials, azimuths, and stars. for him to map their penitent saints. dissected in one radiant solar shaft. Amber-pulsing lasers crack the cathedral. At least I like to think of it that way. where sun arrows shoot holy rays in tandem. their search for mysterious candles. like he can. But I remember the New World. the coming of dark and splitting of rocks. of astral matters and spring zodiacs in the night. the raw wonder, the angles of his face? Ardith L. Brown currently resides in Flannery O'Connor's hometown of Milledgeville, GA, but she doesn't forget New Mexico. When she is not wrangling family or grading papers, she writes poems. She has a B.A. 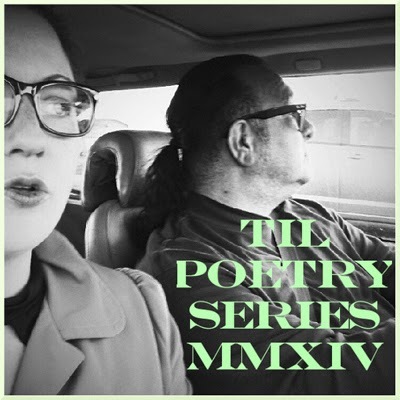 in Poetry from UNM, an M.A. in Literature from the University of Houston, and an M.F.A. in Creative Writing from Georgia College & State University. She misses green chile, mountains, and liberals.